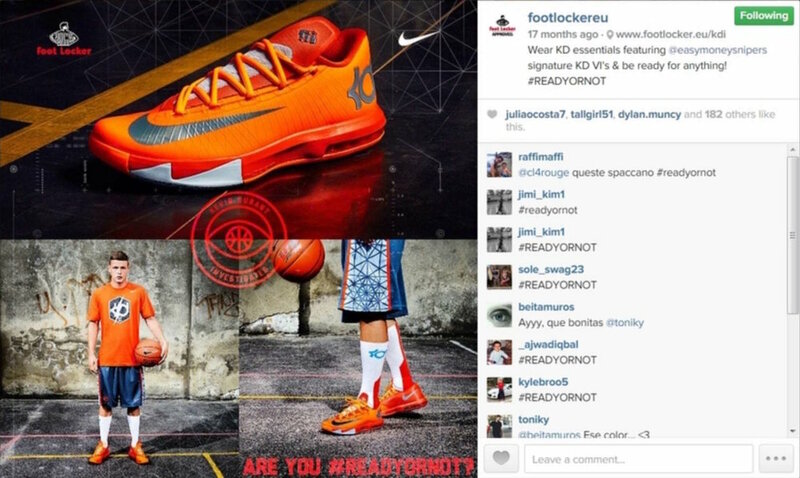 Kevin Durant Investigates: are you #READYORNOT? Microsite, social campaign and European tour featuring Kevin Durant for Nike and Foot Locker’s FA13 integrated back to school campaign. KDI was a fictional world of special agents, on a mission to find out who was ready for the new season of sport. The responsive KDI microsite continued the story of the television commercial with a lookbook gallery including interactive 360 degree product videos, and acted as a hub for the #READYORNOT social activation asking fans to share their skill and style. 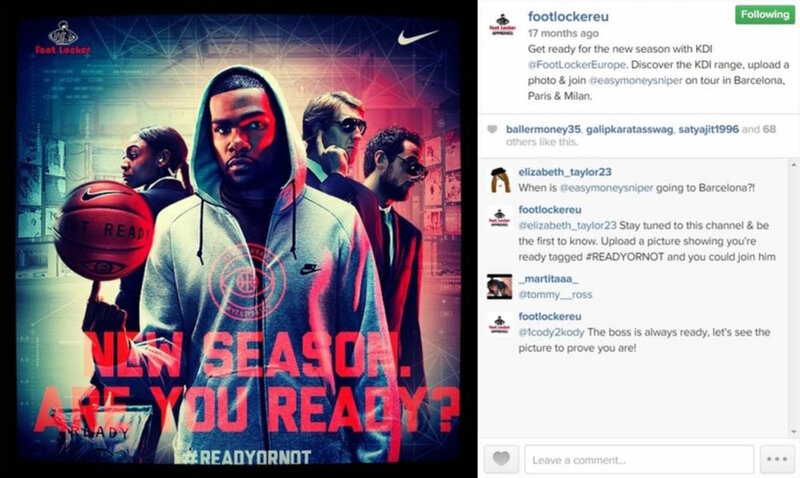 My team also launched the Foot Locker Europe Twitter and Instagram channels. Throughout the campaign engaged fans were uplifted and rewarded with bespoke KDI special deliveries and were invited to join their hero KD on tour in France, Italy and Spain. We live reported from KDI events around Europe as they happened, telling the KDI story in a way that brought the live and digital experiences together.